Episode 55 features Shelby Potts, who hails from Raleigh, North Carolina. She is 19 years old and just finished her sophomore year at Appalachian State University, located in Boone, NC. Shelby is studying communication disorders and hopes to become a speech pathologist. This episode also features Shelby’s mom, Mary Ann Potts. She teaches ballet and modern dance at the Dancer’s Studio. She is also the assistant director of the Concert Dancers of Raleigh, teaches preschool music and movement and leads a cardio-class. But Mary Ann tells us right away that first she is a mom. I met Shelby just a few weeks ago when I visited Dr. Joseph Klein’s graduate fluency class at Appalachian State in Boone. Shelby joined the class that evening, because she wanted to meet me. Talk about flattering! Listen in to a wonderful mother-daughter perspective on the stuttering journey. Shelby honestly shares what has and has not worked for her in therapy. Mom is just as poignantly honest as she shares how it feels being a parent who wants nothing more than to ease her child’s pain, and the hard lessons learned along the way. We talk about acceptance, meeting other people who stutter for the first time and moving from hiding out to speaking publicly about stuttering. Team Potts also talks about how FRIENDS has been life-changing, and the powerful realization that they are a “we”. Sharing this journey has impacted them both and left Shelby well equipped to handle life as a young woman who stutters. The music used in this episode is credited to ccMixter. Feel free to leave comments for Shelby and her mom. Or just let them know what a great job they did. Feedback is a gift. 4 Responses to "It’s A “We” Thing – Episode 55"
I really liked hearing a parent’s perspective. Some of the things Shelby’s Mom said, I know my Mom feels when I am blocking. It’s very interesting to hear it from another parent. I think Shelby’s Mom has a great attitude toward stuttering. What an incredible episode! I am so proud of Shelby and Mary Ann. I had tears in my eyes the whole time realizing what an amazing journey they have had and are willing to share with others. It is an honor to know both of you!! Rita, I have not met you, but I felt like I know you from how much Shelby talked about you when I met her in NC last month, and from what both Shelby and mom shared in this great conversation. I was so proud to have hosted this conversation. It was so unique to have both persepctives at the same time. Thank you for listening and taking time to comment. You have obviously made an indelible impact on Team Potts! Shelby and Mary Ann, thank you for this podcast! 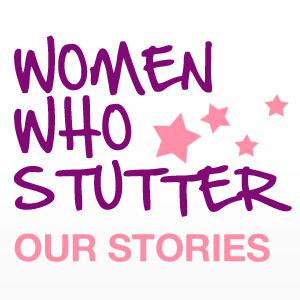 I am also a woman who stutters, and I can relate to many of your thoughts and experiences. Your story is very inspiring; I enjoyed hearing how you became interested in becoming a SLP. I wish you all the best!